“Self-Editing for Fiction Writers”, by Renni Browne and Dave King is one book highly recommended by many authors on Internet Writing Workshop. 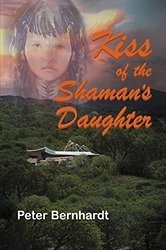 Peter's books include, The Stasi File, 2011 ABNA Quarter Finalist, Kiss of The Shaman's Daughter (sequel), and Red Romeo. Enjoy Peter's Amazon page and his website: Writing Among Sedona's Red Rocks.